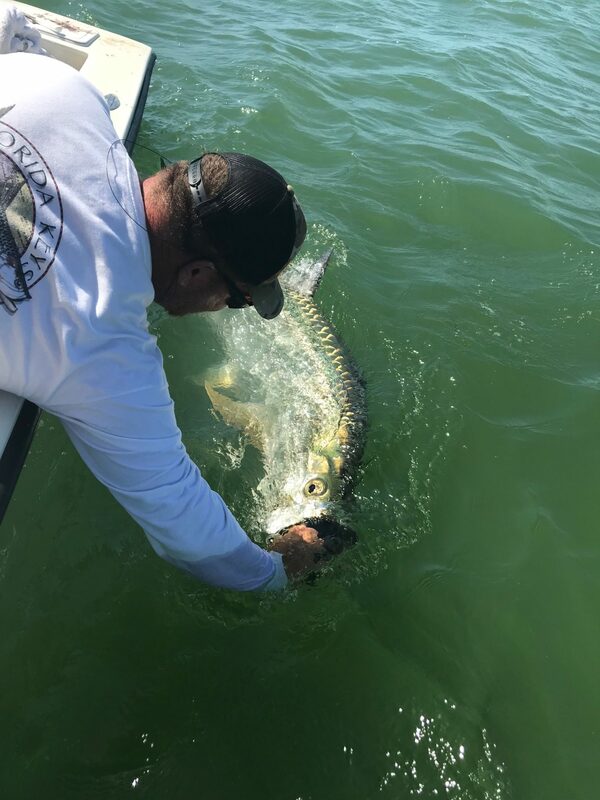 Welcome to Tarpon Season 2018! The Silver King has arrived! 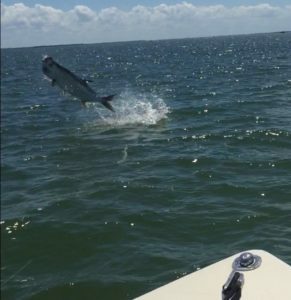 Welcome to Tarpon Season 2018!!! The last few weeks have been pretty darn nice here. We’ve been in the mid 80s during the day and 60-70s at night. 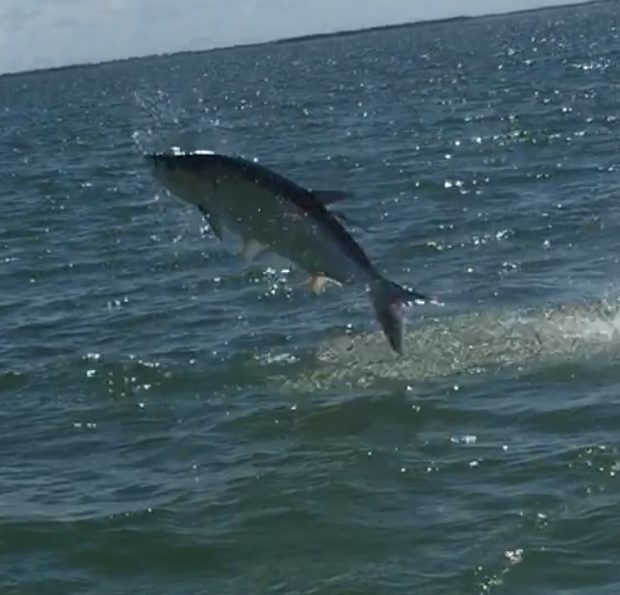 The wind is still around a little more than I would like, but the water temperature is on rise and so is the start of the semiannual Tarpon migration. The world famous beaches of Sanibel Island, widely known for its abundance of gorgeous shells will soon be the feeding grounds for the migration of Megalops, otherwise known as the Tarpon. 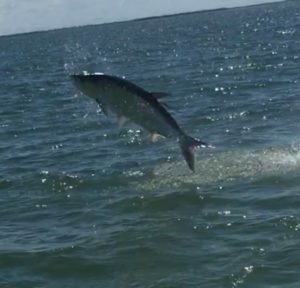 Pine Island Sound and the outer islands of Sanibel and Captiva play host to thousands of hungry, migrating tarpon every year. 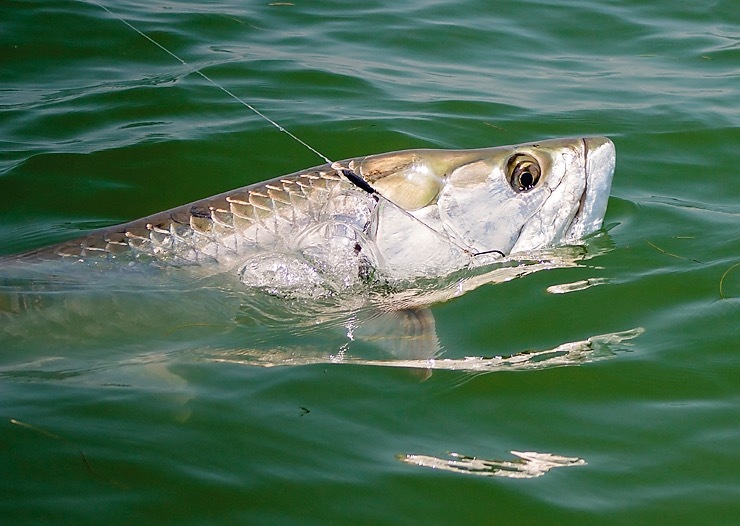 Boca Grand pass, arguably holds more Tarpon than anywhere in Florida this time of year. Although you can get plenty of shots on fish in the sound without having to deal with mass amounts of fishermen and the chaos in the pass. You just have to know where to look and what to throw for bait. Although I’ll be honest and tell you that sounded far more simplistic then it really is. There have been times I’ve sat in the boat for hours with fish rolling all around me, and you simply can’t get one to eat anything. They can be elusive. It’s just one of the reasons many are so enamored with them. 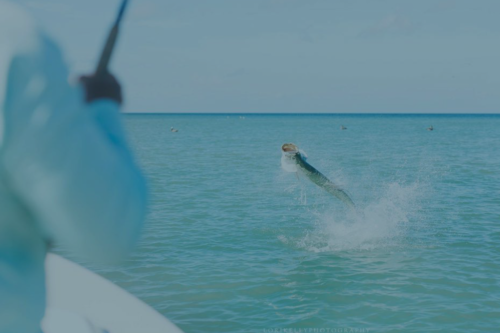 The Tarpon bring millions of people and millions of dollars to Florida’s economy each year. 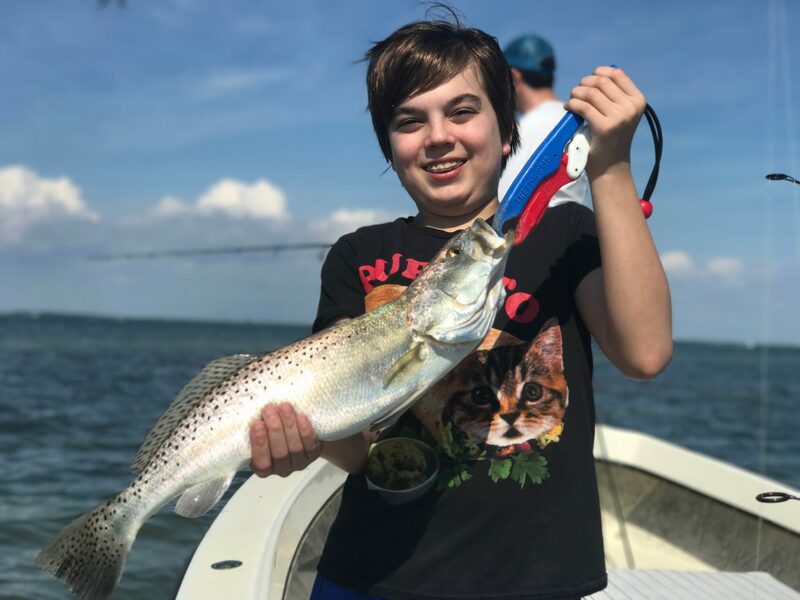 People from all over the world come to Sanibel and Captiva for no other reason but to get their shot to catch the Silver King. Rightly so. They are the pinnacle of inshore fishing in southwest Florida. 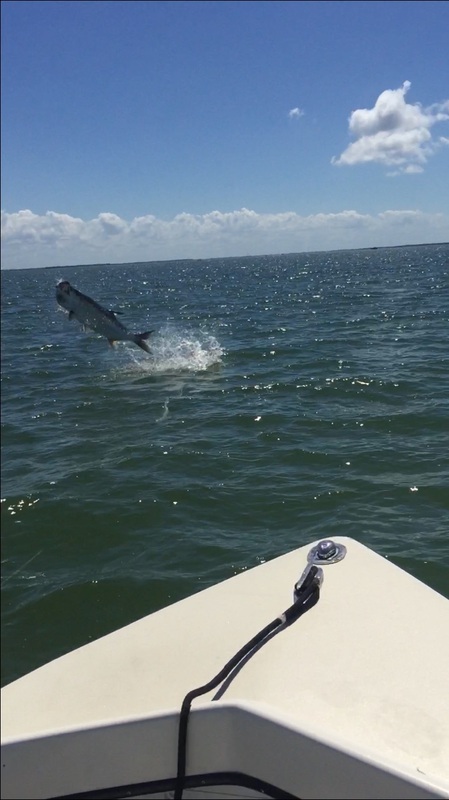 Tarpon always find a way to surprise you. 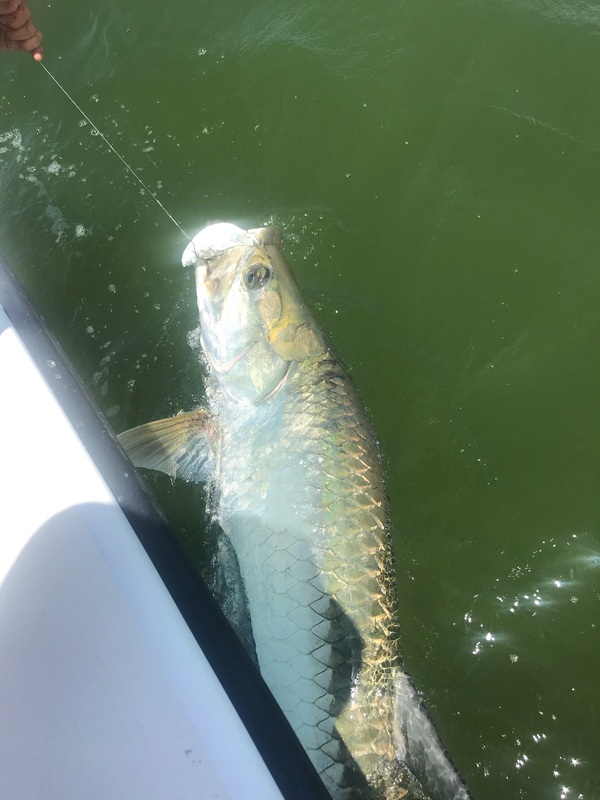 I’ve been trout fishing and had 100+ lb Tarpon hit a 3 in jig on the flats. Sometimes, they’ll take a fly as small as your pinky finger. Other times they will only eat live bait such as Threadfin, Pinfish, Shiners, Mullet or Crabs. And other times its large chunks of cut bait on the bottom. They’ll even eat artificial baits, sometimes, better than anything. I love them, but they can be the most puzzling fish you ever want to encounter. Finding Tarpon and getting them to eat is only part of the equation. These are some of the most powerful and savvy fish to visit Sanibel & Captiva. They are true acrobats that seem to know exactly how to leap out of the water to dramatically spit your hook right back at you or snap a line. Having the right rod, reel, line, leader and hooks all play just as important a role as anything. 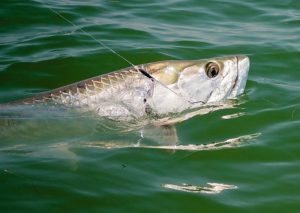 Tarpon aren’t the easiest fish to catch, but they are certainly among the most memorable & rewarding. That said, I get pretty stacked up with Tarpon trips this time of year. So as usual, book early. Also, be prepared to fish early or late. At times, the bite can be very dependent on light and/or tides. Sometimes its not that critical, but if you’re looking to target these fish, I’ll do everything I can to get you on them. Also, be prepared. The FL sate record is over 240 lbs. These are big, powerful fish. Good shoes go a long way. It will take some stamina, so be well rested. And be sure to bring your sunscreen, hats, a snack and sunglasses. We’ll handle the rest. If you’re looking for a bit of family fishing April is prime time! Spanish Mackerel have been great. 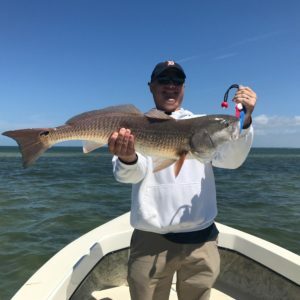 Mangrove Snapper and Speckled Trout are abundant, and Snook and Redfish have been very active as well. It’s a great time of year to be fishing in Sanibel & Captiva! There is literally something for everyone right now. Give me a call and we’ll get you scheduled! See you all soon and tight lines!!! Oh and if you haven’t already, Please subscribe to my YouTube page here. Hopefully I’ll have some new stuff coming up soon!